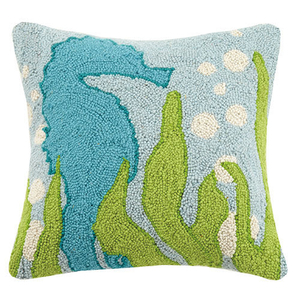 Peking Handicraft Seaweed Seahorse Hook Pillow , Shop Now! This coastal throw pillow will a calming effect in your room! Perfect for adding a beach themed touch to your living room, bedroom, foyer bench, sunroom or coastal themed room.